This result, while perhaps hampered by technical limitations, seems to be worded with significant wiggle room for the Patriots' QB. Anyone with experience evaluating nonverbal behavior, paralanguage or statement analysis reached a more definitive conclusion in January. Deflategate. Say it ain't so Tom. 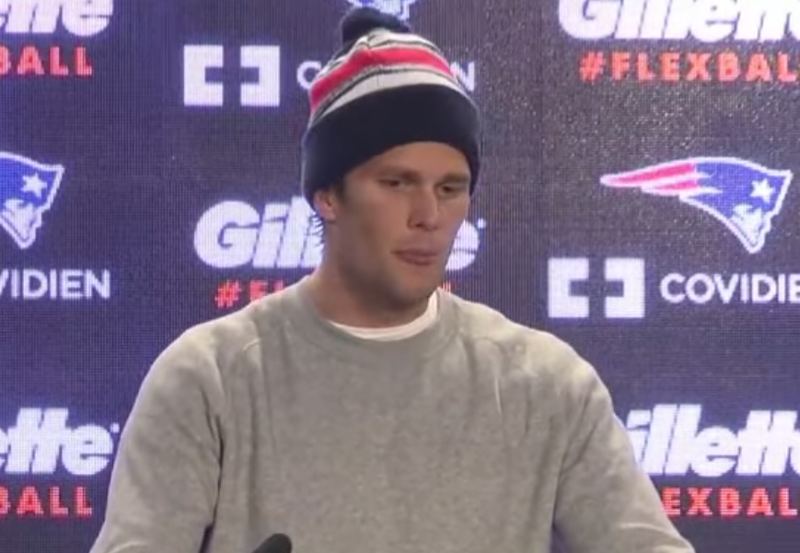 Reporter: "So can you answer right now, is Tom Brady a cheater?" Brady: [Insincere smile, suppressed smile, swaying back and forth on feet, insincere laughter, inward lip roll, hands touch], "I don't believe so...."
Asymmetrical mouth smiling is often (but not always) insincere (do you know the exceptions and how to spot them?) If we look at the rest of his face though - there are no signals of sincerity. Any mouth smiling in this context (albeit insincere) is VERY out of context. The inward lip roll is seen when emotions stray far from baseline. He is not angry here, he is not sad, he is not feeling contempt, nor disgust. 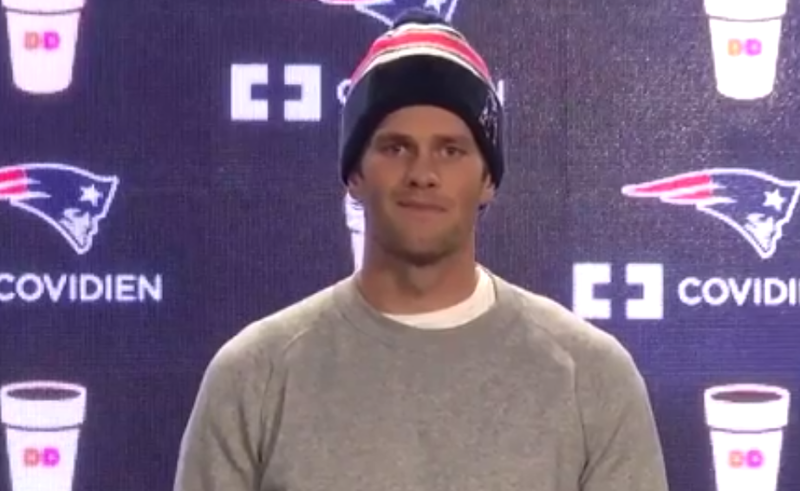 Tom Brady is nervous, very nervous. The ILR is a mechanism whereby he is suppressing his anxiety. It took about 3 seconds - an eternity when asking such an important and spot-lighted question is asked - for him to answer. And his answer was not at all consistent with truth. 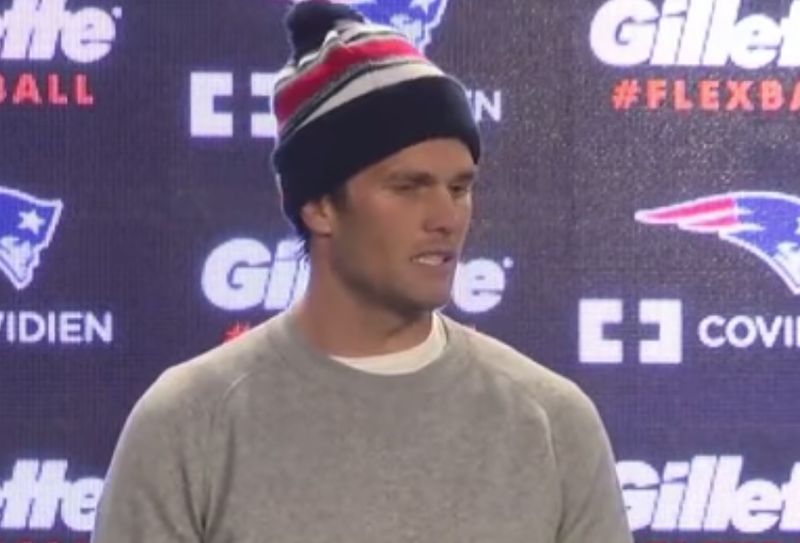 And although we cannot see his hands - by the motion of his arms we can tell that Brady hand-held at this moment - simultaneously with this inward lip roll. From a paralanguage standpoint - his answer of, "I don't believe so ...." is such an insanely red hot deception example, statement analysis experts will be using this video as a classic for generations. This alone convicts him. 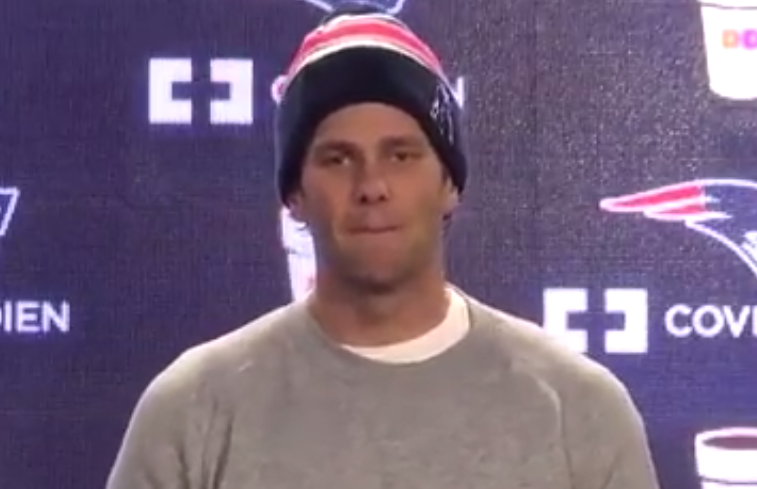 Brady's hat-wearing was clownish and also out-of-context. The hat served as a Psuedo-mask - and although it did not cover his face, it made him FEEL a bit like it, therefore allowing him to deflect a bit of attention away from his face - making the lying easier to initiate. (Intriguingly, in this context, the hat functions much like a very high witness box in a trial/court - covering all but a witnesses head). 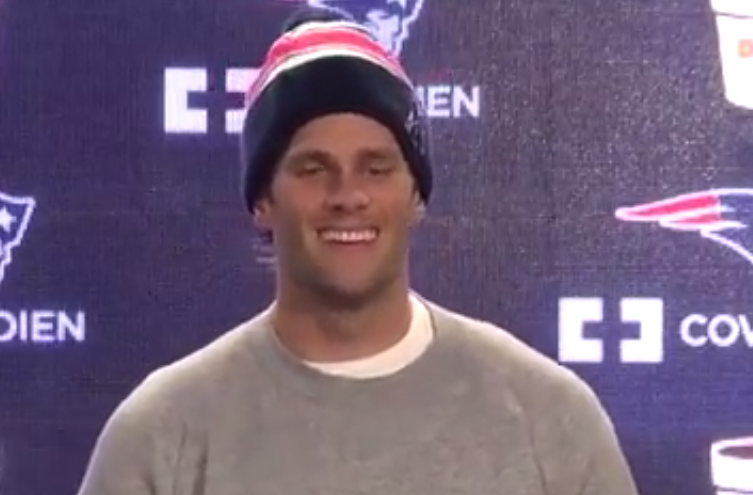 Brady's statement, "This isn't ISIS, no one's dying" - was so emotionally out-of-context and disrespectful to the millions suffering and who will suffer (including two Japanese citizen's whom are currently threatened with beheading) - and was also said with a partially suppressed smile - (thus a form of duping delight) - this extreme level of patronizing behavior indicates a 10 out of 10 level of narcissism - and ironically, these negative behaviors are used to cloak another abhorrent activity - that of lying. The smiling out of context as well as the verbal statement were both, like his hat-wearing, a form of camouflage and deflection (e.g. trying to hide in plain sight). Tom Brady Lied. 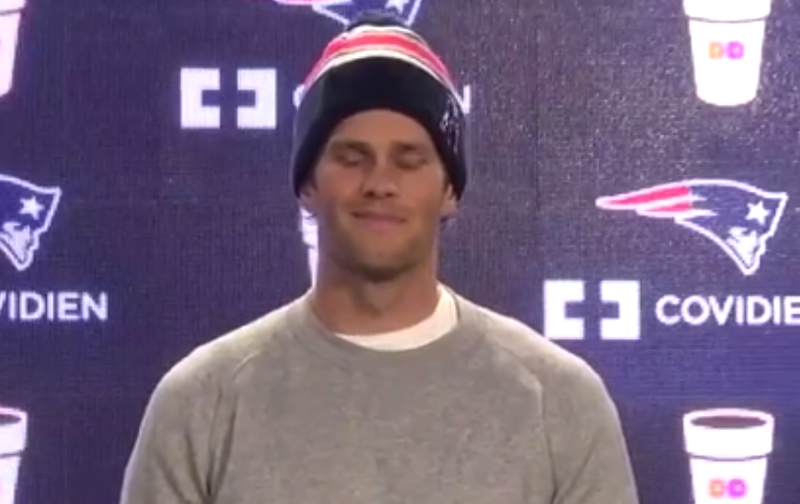 He may not have deflated the footballs himself - but he had knowledge of it and probably orchestrated it. Tom Brady - The Return of The Lie. 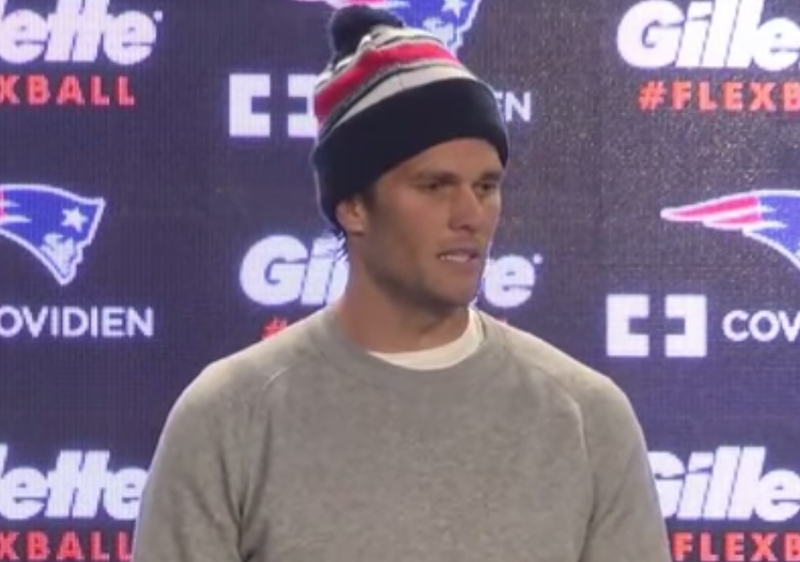 In this second clip of the New England Patriots' quarterback's press conference from this past Thursday, we can see many more examples of nonverbal behavior indicative of deception. As mentioned in a previous post on this same appearance, in the future this video will be held up a text-book example of the body language of lying. What follows is a partial analysis. ".... I think, ah, the main thing for the last couple days - trying to figure out ya know, what happened .... [microexpression - fear mouth at 1:36]".
" .... out ya know, what happened .... .... like I said, I [then a second Microexpression of fear - mouth at 1:37] you know it's, I, I sur, I was as surprised as anyone when I heard Monday morning what was happening, ummm ...." Both of these microexpression of fear are partial and subtle - thus best appreciated within the dynamic context of video (and even on slow motion).
" .... when I heard Monday morning what was happening, ummm ...."
A tongue jut in this cluster context indicates: "I've been bad" or "I've been caught". Think of the Tongue Jut as a form of self-deprecation in the midst of a lie. 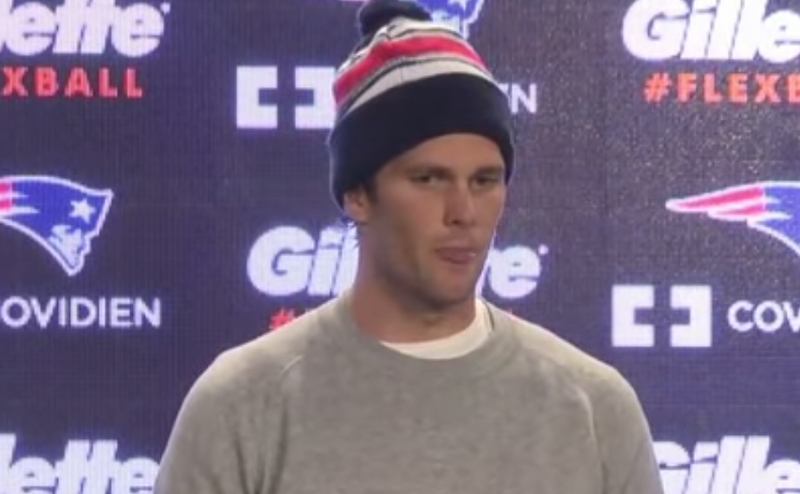 "... You know, obviously, the NFL would like to figure out what happened in this situation [another Tongue Jut / Lizard Tongue at 2:26] ummm ...."
Again this is Brady's psyche calling itself out essentially saying, "I've been bad" or "I've been caught". ".... ummm... you know I try and keep everything in perspective so .... I'm happy that we have an opportunity to play in the next game and ...."
Most notably here, at 2:31 (during the word "... opportunity ..."), we see both a Suppressed Smile of Duping Delight and Blushing - in this context highly indicative of deception. "... You know it's odd that they haven't - at this point - you know - you're the quarterback and the center of the story right now - and the leagues' officials investigating haven't talked to - you indicates to a lot of people that they're letting this drag and twist in the wind." Another reporter: "Have you been told whether they will - to talk to you?" 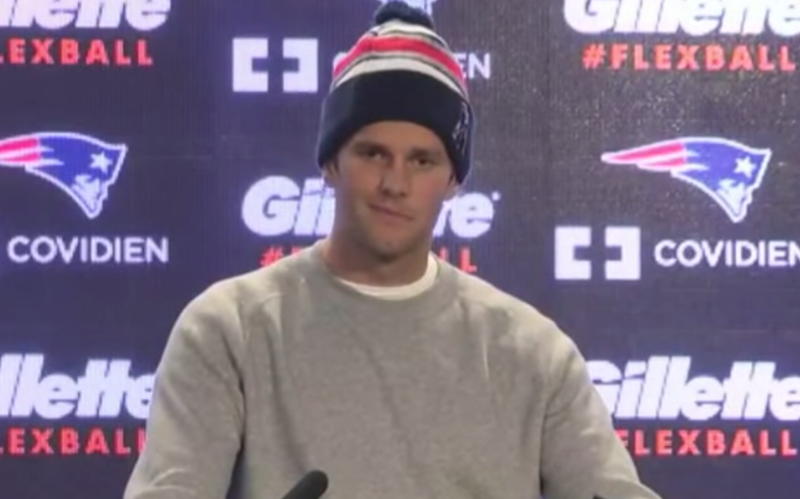 Brady: "I'm not sure." This answer makes no sense - it's simply not a logical response to this question. It reminds many of a politician's answer when trying to dodge answering a question. Either his anxiety is excessive (e.g. he doesn't perceive the question as it was asked) - or he deliberately is re-iterating an evasive response. 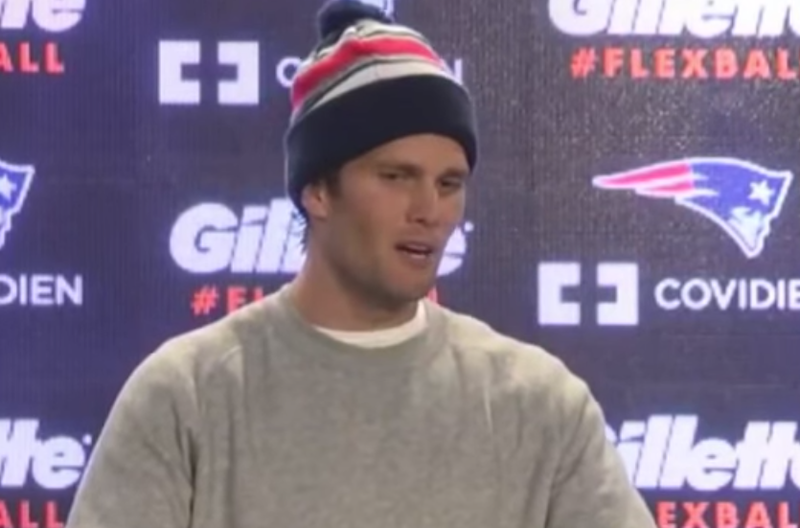 Conclusion: Tom Brady is lying about his knowledge of the footballs in question being deliberately deflated. He is the only one who would have, at least in part, orchestrated such an act. While Brady is certainly no Oscar-worthy performer - he can play quarterback rather well.